Let’s start by catching up with world of crowdfunding. A new Kickstarter project promises to deliver a carbon frame, belt-driven urban bike with integrated LED lights and GPS tracking for as low as $950. A San Francisco cyclist currently living in Brooklyn is looking for Kickstarter backers to help fund the new book Ghost Bike: A Photographic Journey. And Denver attempts to crowdfund part of a protected bike lane. A ghost bike will be installed at 5 pm today to honor fallen Newport Beach cyclist Shaun Eagleson. The New Urbanism Film Festival screens November 6th through the 9th at the ACME Comedy Theater, 135 N. La Brea, featuring a Bike Day on Saturday the 8th — including a live podcast of the Pedal Love show — followed by a group bike ride on Sunday to help promote a bike friendly streets proposal from the Mid City West Community Council. 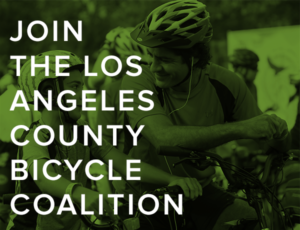 North Long Beach is hosting a Kidical Mass Ride on Saturday, November 15th. The Times talks with cyclist, nail polish heir and Pedalers Fork owner Robbie Schaeffer. Marina del Rey is getting a much needed makeover, including new bike paths. Santa Clarita cuts the ribbon on a new bridge and bike path. Long Beach begins work on a new pedestrian path to move walkers off what is now a multi-use path, as well as a bike route and roundabouts through Bixby Knolls and Los Cerritos. This is what they take away from the highly flawed Governors Highway Safety Administration report? A website on California government blames drunk, helmetless cyclists for the apparent rise in bicycling fatalities; evidently, the drivers who hit them are totally blameless. Newport Beach gets a grant for a year-long traffic safety enforcement program — including bike and pedestrian enforcement efforts. Chula Vista extends bike access to the bay. Now that’s more like it. 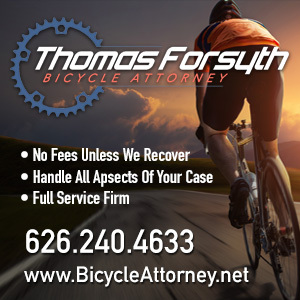 Riverside County prosecutors re-file a murder charge against William Donald Johnson for the death of Beaumont cyclist Phillip Richards in Calimesa last December. Jurors convicted Johnson of felony gross vehicular manslaughter while driving under the influence and hit-and-run causing injury or death, but deadlocked on the murder charge. This is just too sad. A San Luis Obispo cyclist is killed while riding with her fiancé, just three weeks before their wedding day. 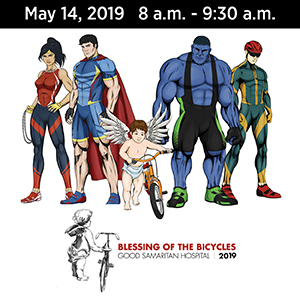 A Vacaville letter writer urges cyclists to think of themselves as cars and stop for red lights; of course, when we do, drivers get mad because we’re in the lane in front of them. Bicycling’s Bob Mionske notes that cyclist anti-harassment laws are spreading across the country, and the political will to change intimidating behavior by motorists may soon follow. Caught on video: An anti-bike motorist is challenged to bike to work for a full week. Bike the Vote seems to be spreading, as the Denver city clerk declared Saturday “Bike in Your Ballot” day. Dallas proves it is in fact possible to indict a cop for killing a bike rider while on duty. Maybe we can trade DA’s with them. Grist looks at Mary Burke, who could become the next, bike-loving governor of Wisconsin. Bike lanes are blamed for deepening inequality in Memphis; evidently, only the wealthier creative class benefits from bike riding in Tennessee. A New York cop crashes his patrol car into a truck; needless to say, a bike rider gets the blame. A New Orleans judge blocks a road diet and bike lanes on behalf of a church school that evidently doesn’t want to improve safety for its students. So much for LA’s status as the hit-and-run capital of the world, as nearly 80 Londoners are injured or killed in hit-and-runs each week. Now that’s a jerk. 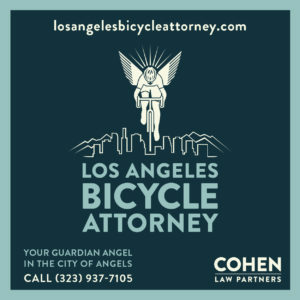 A British cyclist breaks both arms and a foot in a crash with another rider who just rode away without a word; an Aussie cyclist is awarded $1.7 million for another bike-on-bike collision. Stupid, stupid, stupid. A Brit teenager is stabbed in the back in an argument over bike brakes. The Netherlands institutes a bike safety exam for seniors; we can’t even get safety exams to get dangerous older motorists off the road. In Bhutan, even the king rides a bike in a country that has become the latest improbable bastion of bicycling. An Aussie state considers fining motorists who violate a proposed 1-meter law, the equivalent of California’s three-foot passing law. There’s a new hour record holder already, as Australian Matthias Brandle breaks the record Jens Voigt set just a few weeks ago. No disrespect, but am I the only one who’s disappointed Jensie’s record is already off the books? No, seriously. If you’re carrying illegal drugs on your bike, don’t crash into the back of police cruiser while texting — and don’t rack your nuts in the process. A British inventor creates an ice bike; no, not a bike designed to ride on ice, one with tires made of it. And now you, too, can have a two-wheeled Ferrari of your very own, with walnut wood coating and woven leather for a cool $7,500 — or $11,300 with electric assist.